The Merc with a Mouth, Wade Wilson, is up to some fun shenanigans! 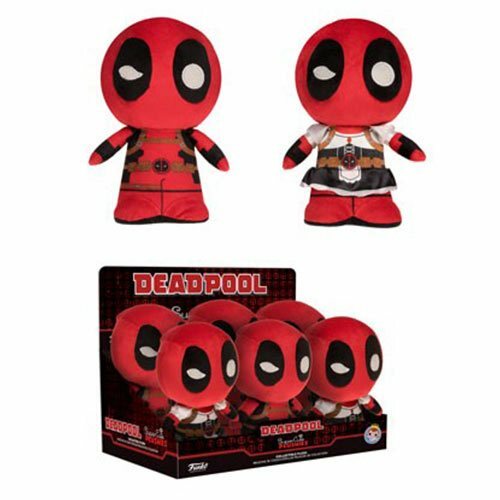 This Deadpool SuperCute Plush Display Case includes 6 plushies. Breakdown not available at this time. Ages 17 and up.